Softer and a smidge more understated than its sister collection, the Painted Swirls artwork elements bring to mind the sweeping boughs of an olive branch or the lacy fronds of a fern. Bold lines are replaced with whispery brushstrokes and contrasting color palettes are swapped for low contrast color pairings. Now, let's chat about your stationery ideas! 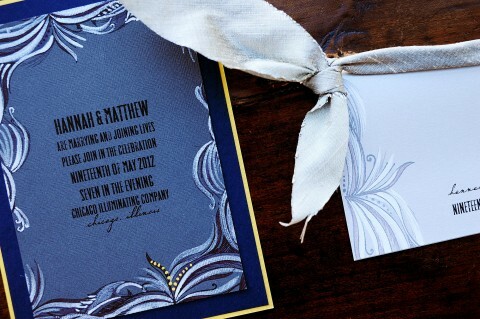 See more Painted Swirls Custom Wedding Invitations! What is Kristy up to? Momental Designs Unique Wedding Invitations featuring the artwork of Kristy Rice. We love to create handmade custom wedding invitations, unique wedding invitations, birth announcements and stationery. We create unique wedding stationery including custom programs, wedding menus, custom seating charts and seating cards. We also offer bat mitzvah, bar mitzvah invitations, party invitations, wedding shower invitations, baby shower invitations. If you are searching for a handmade custom invitation, a unique party invitation, bridal shower invitation, or even a beach themed wedding invitation please contact us.. We love to create destination wedding invitations, hand-painted invitations and very artistic invitations.